A seashell is a hard protective outer layer created by an animal that lives in the sea. The shell is part of the body of the animal. Seashells are commonly found in beach drift, which is natural detritus deposited along strandlines on beaches by the waves and the tides. Shells are very often washed up onto a beach empty and clean, the animal having already died. Empty seashells are often picked up by beachcombers. However, the majority of seashells which are offered for sale commercially have been collected alive (often in bulk) and then killed and cleaned, specifically for the commercial trade. This type of large-scale exploitation can sometimes have a strong negative impact on local ecosystems, and sometimes can significantly reduce the distribution of rare species. The term seashell usually refers to the exoskeleton of an invertebrate (an animal without a backbone). Most shells that are found on beaches are the shells of marine mollusks, partly because many of these shells endure better than other seashells. Apart from mollusk shells, other shells that can be found on beaches are those of barnacles, horseshoe crabs and brachiopods. Marine annelid worms in the family. Serpulidae create shells which are tubes made of calcium carbonate that are cemented onto other surfaces. The shells of sea urchins are called tests, and the moulted shells of crabs and lobsters are called exuviae. While most seashells are external, some cephalopods have internal shells. Kanyakumari which represents the southernmost point of the mainland of India is renowned not only for its scenic beauty and pilgrimage tourism. This land also holds the key to the world of rich cultural heritage and the glory of aesthetic traditions of the past. Surrounded by Majestic Hills and the plains bordered by colourful sea-shores, fringed with coconut trees and paddy fields, here and there are few elevated patches of red cliffs with undulating valleys and plains between the mountainous terrain and the sea - coast, so closely interwoven with Temples and Churches and other edifices lies the district, ‘Kanyakumari’. With an area of 1672 sq.km. It occupies 1.29% of the total extent of Tamil Nadu. It ranks first in literacy among other districts in Tamil Nadu. Their culture, religion, aptitude, habits, beliefs, talents etc. have a bearing on how the district presents itself to others. Tamil and Malayalam are the main languages of this district. Hindus and Christians form a sizeable percentage of the population of the district and there are a number of Muslims dominated belts in the district. The caste system in the Society has weakened to a great extent especially after independence because of growth of education and improvements in transport and communication. Some of the communities in the district are Nadars, Nanjil Nadu Vellalars, Paravas, Mukthavas, Vilakki Thalanayar, Kammalar or Asari, Nairs, Chackarevars, Kerala Mudalis etc. Rice is the staple food of the rich and poor alike in the district. Some among the poorer section also use tapioca. Beverages like tea and coffee are widely spread even in to the rural area of the district. Kanyakumari district is blessed with the benevolence of nature with the numerous rivers, mountains, streams, forests and seacoast. There is great scope for promoting eco-tourism in the district as it is richly endowed with pristine and diverse forests with rich variety of flora and fauna. Vadasery village of Kanyakumari district is the birth place of temple jewellery which was once used to adorn the deities and also royalty. While the village of Mylaudy is known for stone carving, places like Thalakulam and Chundankadai are characterised by artisans with faculty in artistic pottery. Nagercoil, Vadasery and Mylaudy are famous for their wood carvings. Edaicode, Parakkanvilai, Alanchi and Marthandam are places where generations of artisans have perfected the art of palm leaf crafts having practised the art for years. Kanyakumari and Peruvilai are known for Korai Grass mats, Palappallam and Arumanai for Coconut Shell Crafts and places like Palliyadi, Moolachal, Ettani etc. for Lace work and Embroidery. Shell craft in India does not have major history behind it for it was developed by a team of pioneers and designers constantly in the action of trailing something new and exclusive. 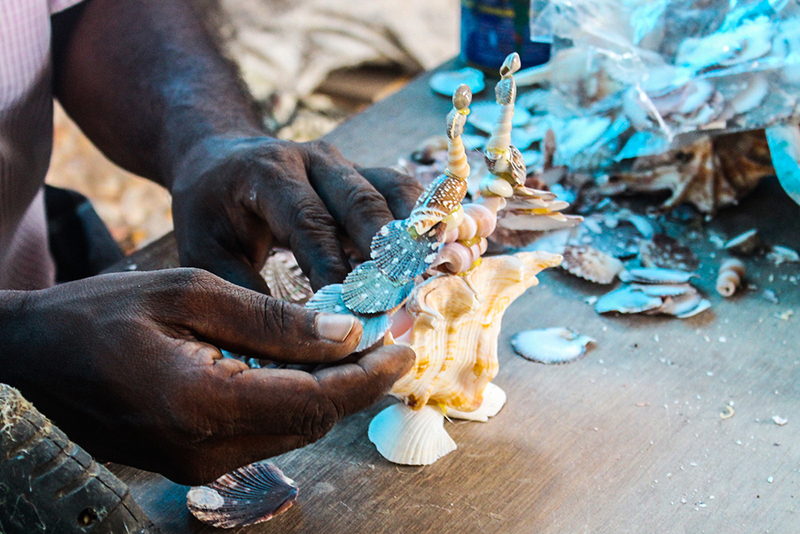 This craft involves the making of colourful and fascinating decorative objects by using sea shells. The shell craft not only results in the making of decorative items but also a wide range of utilitarian items or objects like boxes and mirror frames covered in shells. Some of the major constructions with the sea shells include mosaics and shell grottos. The decorative items got as a result of the shell craft are cherished by people across the globe especially the foreigners who come to India. Though this is a very small folk art carried out usually by amateurs in most part of the country, whereas in many countries shell craft is more of a business. Apart from these items being in demand the shell craft is also associated with some religious and social significance. Apart from the known expensive gems, man was also exposed to the most colourful and fascinating shells, especially the ornaments and embellishments made out of them is liked by all people belonging to different status. Shells are basically the hard outer protective covering of sea creatures which is found in abundance on the sea shores. These shells are handpicked and used to craft out both outstanding utilitarian and decorative items. Various items like ornaments, musical instruments, drinking cups and many more artifacts are made out of the shells. They are supposed to be used with more aesthetic sense too. 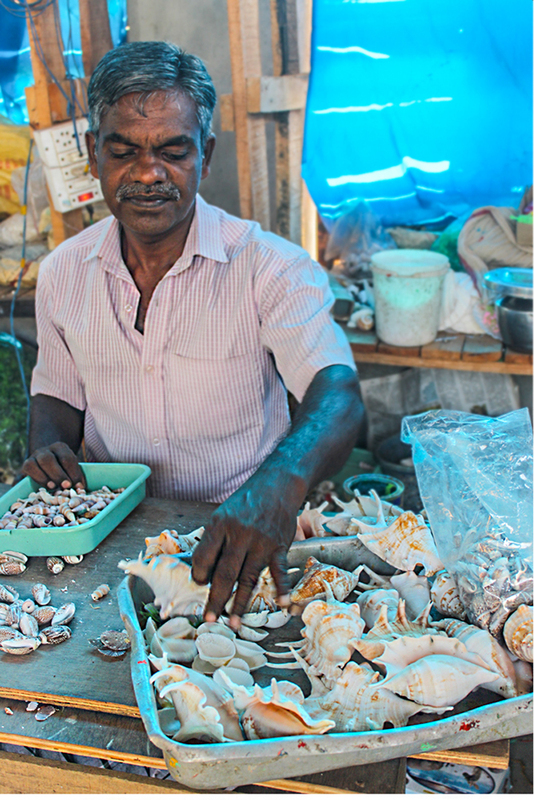 Shells such as Giant clam, Green mussel and oyster support edible shell fishery and a few like Scallops, clams and cockles are burnt in kiln to produce edible lime. Shells are available in a wide range of colours, shades and tones. This art form helps in the translation of innovative ideas of the craftsmen into product creation and surface recreation altogether to a new height. The existence of the sea shell craft in India can be traced from the period of Portuguese in Goa where their architecture like doors and windows were adorned with sea shells. The regular sea shell products include posters, curtains, chandeliers, pot hangers, table lamps and mirror frames. Cleaning of the shells is done with certain chemicals which gives a gleam and an ornamental look. 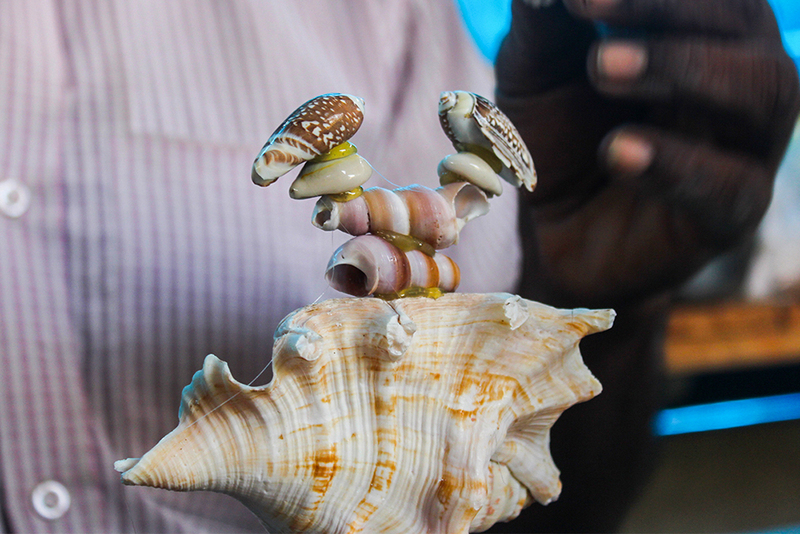 There are many types of shell craft, one of the examples is conch shell craft. The shells of the sea snails are called as conch shells which are considered to be very auspicious where the sound is believed to ward off evil forces, especially in Asian countries. Conch ornaments were very popular during the period of Pandya dynasty. Archaeological excavations show that there were number of conch shell inlay work items and buildings decorated with conch shells. Apart from this contemporary conch shell works include ornaments, musical items, decorative items with figurine and floral designs and many more crafts. 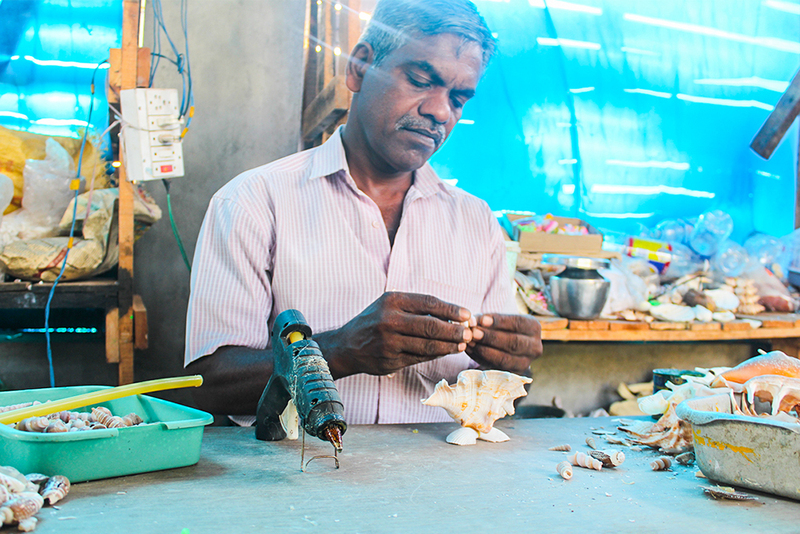 The making of conch shell craft is quite intricate, for crafting a conch shell bangle the edges are cut and then cleaned. This is followed by tightly wedging the shell between the right heel and the left toe of the artisan. Then the base is cut with the help of a saw and rings are sliced out with a curved saw. The holes are then sealed with wax and the joint is painted with coloured drops. The final polish is given to the product by dipping it in a solution of nitric acid and then polishing it with a dry cloth. 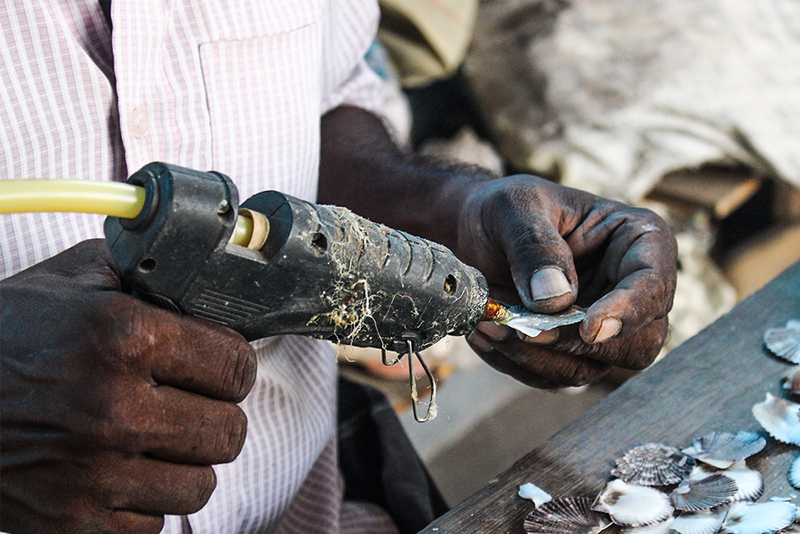 Thus with conch shells the artisans make bracelets, spoons, forks, lockets, decorative bowls and armlets.